As we head up to London today for yet another appointment at GOSH, I thought I’d complete the story started in my last blog. D-day had finally arrived. We got up, washed, dressed and packed up our bags before heading over the road to the ward for M’s scopes. We had a lot of hope pinned to these simple tests and both believed that we would get some answers once they had been done. 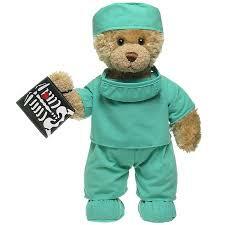 When your child faces surgery of any kind, as a parent you are understandably nervous. The medical team at GOSH did their best to put us at ease and to reassure us that all would be well whilst M was being examined. My biggest concern was the anaesthetic. M had broken his left arm in 4 places when he was 4 and had had to have 2 operations to put it back together. Both times he had experienced a noticeable reaction to the anaesthetic used with symptoms of a high temperature, hallucinations and thrashing about as he came round from it. The second time had been worse than the first and I was concerned about how he would react this third time as I had been warned that his reaction may become more severe each time he had to undergo anesthesia. His consultant and the anesthetist talked this over with us and reassured me that they would keep an eye on him. We went with him when he was given the anaesthetic and this experience hit Mike particularly hard. On both of the previous occasions, only one parent had been allowed to accompany M into the prep room, so I had “been there and done it” before. The sight of M chatting away one moment and drifting to sleep with his eyes rolling back in his head the next, reduced Mike to stunned silence and to something of an emotional wreck. We returned to the waiting area, where the nurse advised us that it would all be over in about 30 minutes, so enough time to go and get a coffee at the nearby coffee shop. Taking note of my need for a sweet and caffeinated beverage (Vanilla latte!) and his own for some fresh air , Mike and I wandered out into the winter weather and down the street. Neither of us wanted to linger, so we grabbed a coffee to go and hurried back to the waiting room. What happened next was every parent’s nightmare. M did not come out of his surgery within half an hour, or indeed within an hour. After over an hour of anxious waiting and quizzing of the nursing staff, we were finally ushered into the recovery room to see our boy. The operation had not gone as smoothly as hoped because of the state of M’s insides. The colonscopy had gone well, but when they inserted the tube for his endoscopy, they discovered that his intestines had been badly damaged by the as yet undiagnosed condition and he had bled heavily as they tried to examine and take biopsies for testing. In the end, they had done what they could and had left it that. His consultant was confident that she knew what the problem was, even with an incomplete examination done, but she wanted to wait for the results of the biopsies before confirming her diagnosis. The original plan had been that M would come round from the anaesthetic, have a small bite to eat, use the toilet and then be discharged by lunch-time. The extended length of the operation and then the extreme reaction to the anaesthetic meant that we’d be lucky if we got out by dinner. Fortunately, Mike and I had anticipated this turn of events, well the reaction bit at least, and had sensibly booked a later train to take us back home. I dealt with the thrashing, the biting, the uncontrollable sobbing and the screaming as the anaesthetic passed through M’s tiny body, until finally he fell into a fitful sleep. We survived the departure of those children who had been scoped after him and the arrival of those for the afternoon list for theatre. We manoeuvred ourselves, M’s bed and our bags away from the main recovery room to the “spare machinery” room as they needed the bed space for those new patients. And we appreciated the drinks and sandwiches they provided for us and for M when he eventually woke up completely. As the consultant left at the end of her day, we were finally told that M was going to be discharged and we left GOSH approximately 10 hours after we’d entered it that very morning. Mike flagged down a passing black cab and the cabbie helped us in with our luggage as I carried our suffering and sleepy lad in and onto my lap. We had acquired some additional soft toys on our trip, well every boy needs a gruffalo and mouse to see them through surgery, as well as a GOSH bear for G as a present from our stay away from home and we needed extra arms to manage those without losing them along the way. Getting onto the train at Paddington felt like no mean feat, but we were reassured and hopeful by our consultant’s assurances that she knew at last what we were dealing with and prepared for our return visit less than a month later. This entry was posted in General and tagged colonoscopy, endoscopy, gastroscopy, GOSH, Great Ormond Street Hospital, health issues, ill health, parenting, scopes on May 1, 2013 by bluesingingdragon.